If you’ve developed pain or tenderness above your heel from sports or everyday activity, it’s time to see if you have Achilles tendinitis and get proper treatment from a specialist like Dr. Gary M. Kazmer, one of the leading podiatrists in Illinois. 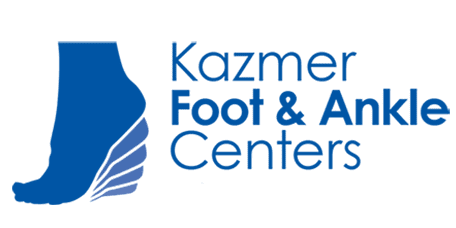 Call Kazmer Foot & Ankle Centers for an appointment or book one online for the Barrington, Elgin, or Chicago office. Your Achilles tendon is your body’s largest tendon, connecting the bottom of your calf muscle to your heel bone. A healthy Achilles tendon is essential for full mobility in your feet, and injuring it makes walking, running, and jumping very difficult and dangerous. First, Dr. Kazmer performs a physical examination, observing your calf and ankle for signs like swelling. Next, he presses your Achilles tendon and gently tests your foot’s mobility in relation to your pain scale. Dr. Kazmer usually orders an imaging test like an X-ray, ultrasound, or MRI to confirm the diagnosis of Achilles tendinitis or a ruptured Achilles tendon. How long is Achilles tendinitis recovery? The length and difficulty of your recovery from Achilles tendinitis varies with your treatment and how consistently you follow Dr. Kazmer’s instructions. Through RICE, medications, and PRP therapy, you may recover from minor Achilles tendinitis in 3-6 weeks. If your injury is moderate and you use nonsurgical options like a series of casts, it may take you 6-12 weeks. If you have surgery, expect 4-6 months (including physical therapy and other treatments) until daily activities feel normal, but a year before being close to a full recovery. Call or book an appointment online for a personalized consultation with Dr. Kazmer as soon as possible to prevent further injury to your Achilles tendon.